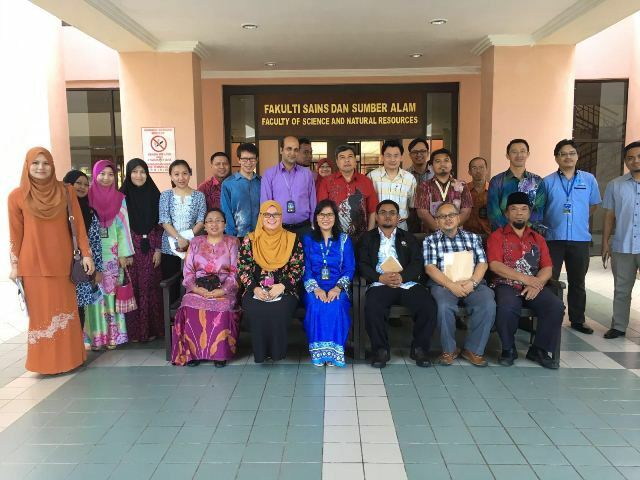 TUESDAY, 02 FEBRUARY – A total of 73 postgraduate students from the Faculty of Sciences and Natural Resources (FSSA) Universiti Malaysia Sabah (UMS) recently presented their result study at the Postgraduate Students Seminar at the faculty level. The two-day seminar held at the Science and Technology Complex and Forestry Complex involved Master’s, Master of Philosophy and PhD students who presented their case studies, Pre-Viva, Mandatory Progress Report and Current Research Report, respectively. According to the Chairman of the Seminar, Dr. Maria Lourdes T. Lardizabal, the main purpose of this seminar was to provide an opportunity for the postgraduate students to present their progress and results of their studies. “This seminar is also a medium to share their experience and thoughts to solve any problems well without affecting the performance of the postgraduate students at faculty level. “The seminar is also a space for the students to exchange existing knowledge,” she said. Meanwhile, Dean of FSSA, Prof. Dr. Baba Musta in his opening speech read by the Deputy Dean (Academic and Alumni Affairs) FSSA), Assoc. Prof. Dr. Saafie Salleh said, the seminar expected to contribute knowledge and benefits to all parties, particularly to postgraduate students in preparing them to deal with critical problems faced by the world today.